Russian stop-motion-movie project on kickstarter needs support! 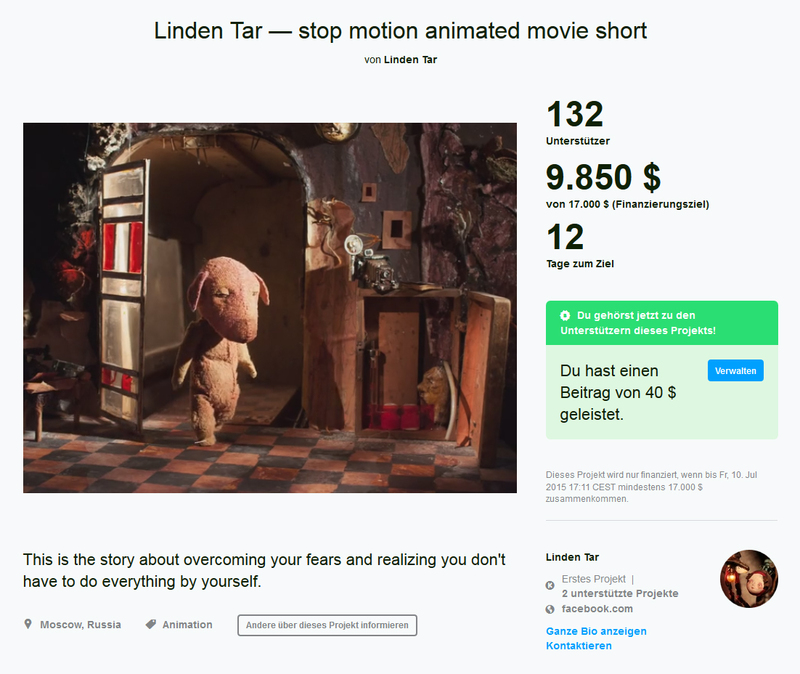 Check out this link to the beyond beautiful and imaginative russian stop-motion project ‘Linden Tar’ whose progress I’ve been following now for quite some time. ← How do we fall in love?